Besides your basic photocopying. Commercial Copy Centre offers a wide variety of services. Our black and white copying is done on one of our three Xerox Document Centre 265s. These high speed digital copiers produce top of the line black and white copies in a fraction of the time other copiers take. 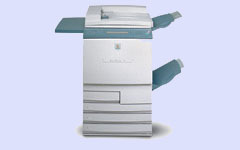 Our colour copying is done on either our Xerox DocuColor 12 Copier/Printer or our Xerox DocuColor 40CP. 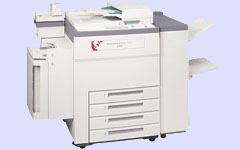 These are both high quality, full colour copiers/printers. 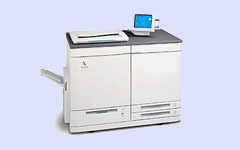 The DocuColor 40 is capable of print 40 full colour pages per minute. our service being fast and reliable. and we can print them on our high quality printers.